It is common thinking that traveling is expensive. Yes, some destinations can drain every penny from your pockets but that doesn’t involve every place on this planet. There are some people who go as far as to say that visiting any place on the map can cost you very little. We will present you the top breath-taking places to travel on a budget and have the time of your life. You’ll simply be surprised by how many places to travel on a budget exist in the world. After seeing all these destinations, you’ll see that you can have fun, meet lovely locals and new friends, admire new cultures, and bring back a lot of memories home. From metropolitan cities and safe havens for lovers of history and tradition to casual beaches and mesmerizing landscapes, there is everything for each taste. The luxurious, costly resorts are just scraping the surface of the coasts’ beauty. You can experience all the joy of swimming all day, snorkeling and sunbathing for a much lower price. The Mediterranean countries, for one, are a top destination for tourists from all over the world who want to travel cheaply. And then there are some locations in Greece where you spend a hilarious sum of money for a mind-blowing experience. Not only Greece, the white sandy beaches of South America, Australia, Asia and Africa can in the same time wow you with their uniqueness and affordability. For all the nature fans, you can decide for a mountain, lake, jungle or even a cave. All of those spots offer amazing activities in the form of trekking, hiking, exploring, zip lining and so much more. And guess what? They are all affordable and won’t break the bank. Many other locations are home to spectacular wonders which can be experienced once in a lifetime. An example for that are the American national parks as well as New Zealand and several Asian countries. 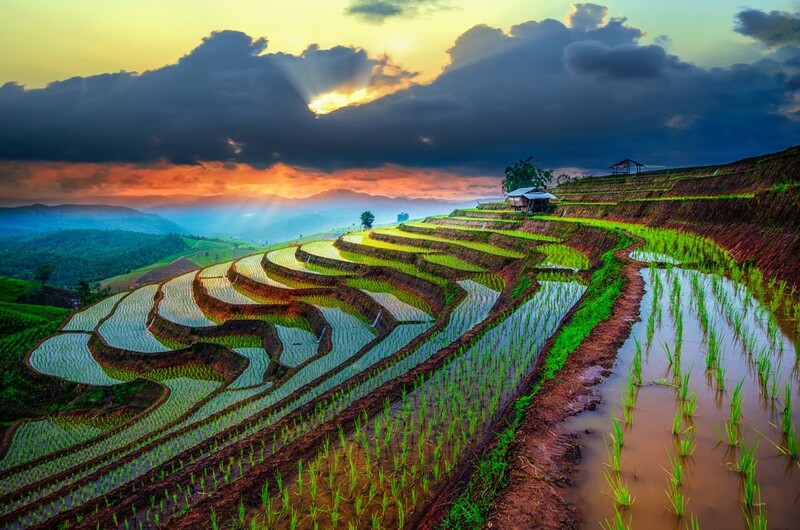 Moreover, the rice fields stun with their originality as do the wonderful temples of Thailand. The famous urban cities also have an ace up their sleeve. We’ll shed a completely new light on well-known cities by showing their new historic, picturesque aspects and other secrets you can see for only a small part of your salary. All in all, whether you decide to go backpacking, flying economy class and getting the same experience in the destination as the one from first class, or just sparing a dime, we’ll break down everything. You’ll take a look at some of the most attractive places to travel on a budget when you want to be a budget traveler and how to get the most out of every spot. But before you set your mind on going there, you have to do some thorough research. The time has come for us to unveil the mind-blowing places that are great for your wallet. 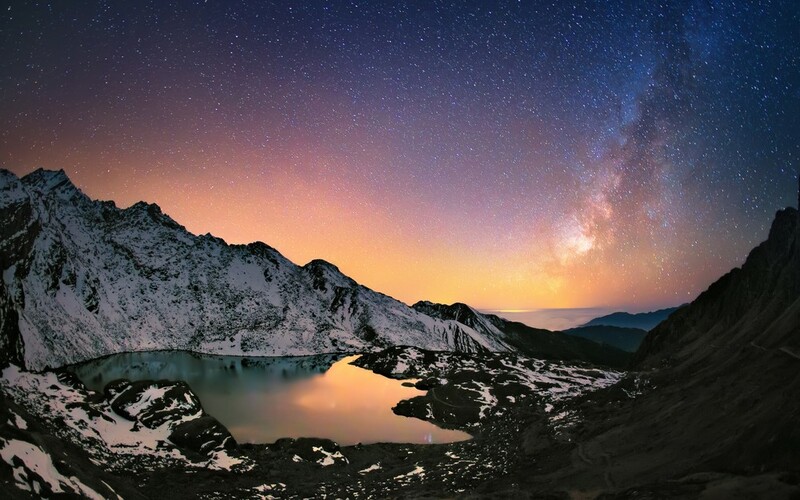 Prepare your jaw to be dropped while reading about all these spectacular locations. Greece – Believe it or not, there are some Greek islands where you can go through the day spending only $50. In the recent years, Greece has been hit by a massive financial crisis. While the Greek are still getting up on their feet, the euro is pretty low so that means that you can travel to several places for less cash. You should pay in advance with a credit card, take some money with you and you’ll be covered. Furthermore, you can begin your journey in the Acropolis in Athens. It’s after all the place where democracy was born and with it the Western culture and civilization. The tickets for it are very affordable as are those regarding some other ancient sites in Greece. The magical tavernas where you can try the best seafood and the amazing nightlife clubs are always here to spice up the atmosphere. 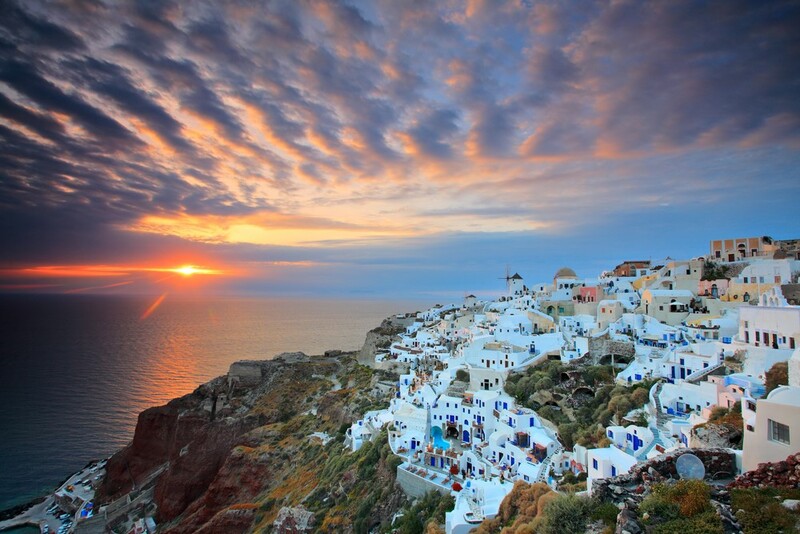 Also, don’t forget to check out the backpackers’ favorite island Santorini where you can find stunningly cheap hotels. Vietnam – Vietnam has been lately climbing all the lists of places to travel on a budget and here is why. Your favorite Vietnamese meal can go in your belly for just $1. Considering the label ‘grand tours’, the tours are pretty affordable for Americans. The Ha Long Bay is a phenomenon and a site that speaks all about itself. As a UNESCO World Heritage Site, it shows off otherworldly limestone islands and crystal clear water from your dreams. Apart from that, you would encounter splendid fields, perfect beaches, and blissful cities that will stay in your heart forever. Much like many other places to travel on a budget, you can try the brilliant cuisine shoulder to shoulder with the natives. And the costs, you can definitely manage. 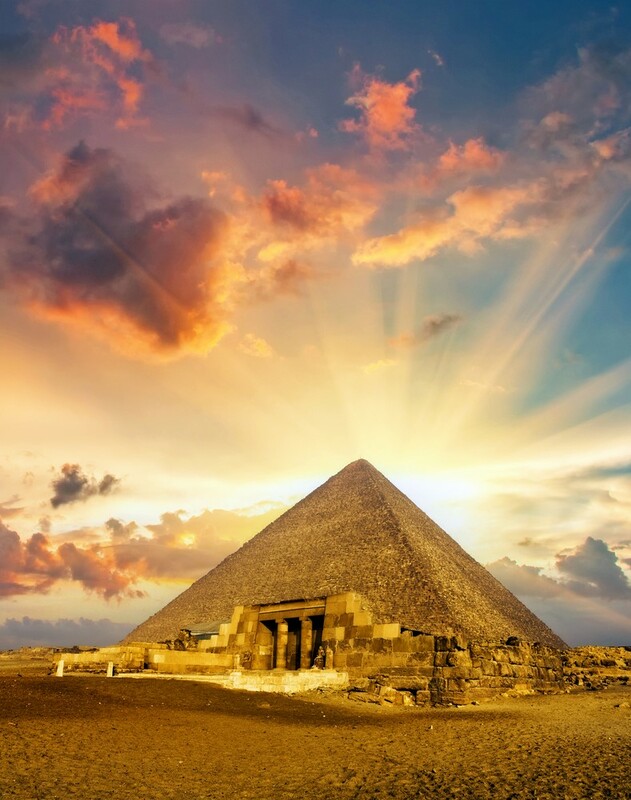 Egypt – This country will make you believe that you can live like a pharaoh. But you have to cut plenty of the additional costs that you’d normally make there. The tourist attractions are the first to go off your bucket list if you want to save some penny in your pocket. Abu Simbel and the Valley of the Kings are pretty expensive, so you want to stay away from those. Instead, you can replace them with walks in downtown Cairo, Aswan or Luxor. The most economical way to travel is by trains from one place to the other. You can also add the taxi here because you can often arrange the price of transportation with the driver. If you settle yourself in a cheaper hotel in the center of Cairo, you’ll save much on transportation as everything would be only a walking distance away. You should also ditch the costly cafes and luxurious restaurants and instead try the tasty food-sellers on the street. Egypt boasts with amazing food that is both cheap and utterly delicious. 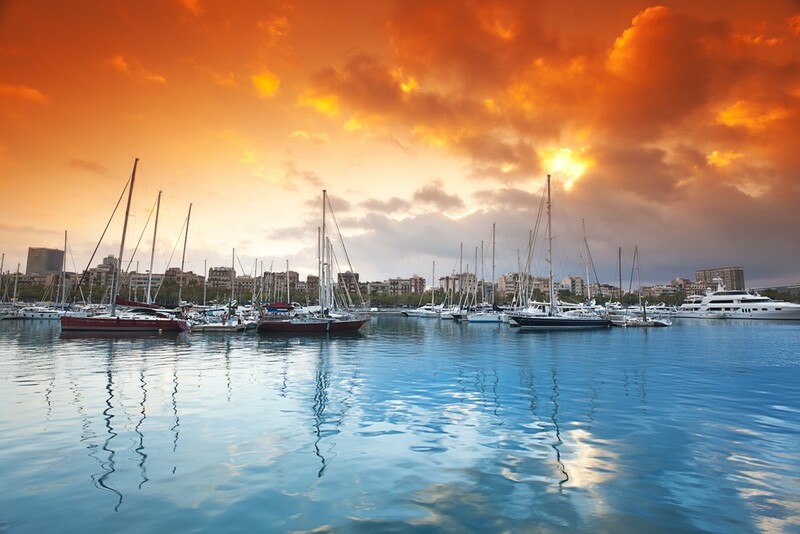 Montevideo, Uruguay – If Brazil is a too expensive adventure for you. 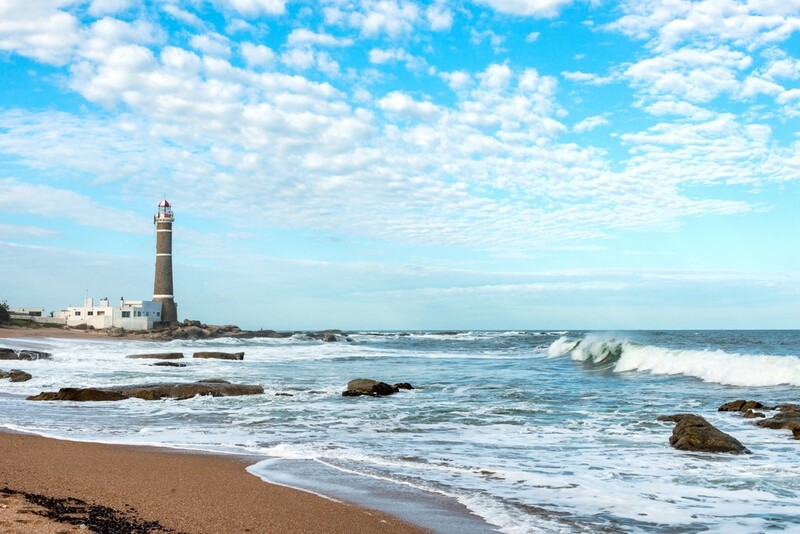 Its neighbor, Uruguay, has a value all on its own that rivals summer destinations around the globe. Among other places, the historic capital, Montevideo, somehow rises from the rest. Besides, having one of the best sandy beaches in the world, Montevideo offers so much more. It’s the city of neoclassical and historical architecture, discos, and plenty of tango bars. What’s more, there you can practice all the water sports – from swimming and snorkeling to water skiing and surfing. The city is also memorable for its longest-lasting Carnival from late January until the beginning of March. And none of that is too pricey, reserving it a spot between the places to travel on a budget. A meal for one costs around $10 and even less. And you can find really affordable hostels where you pay around $15 for a dorm. 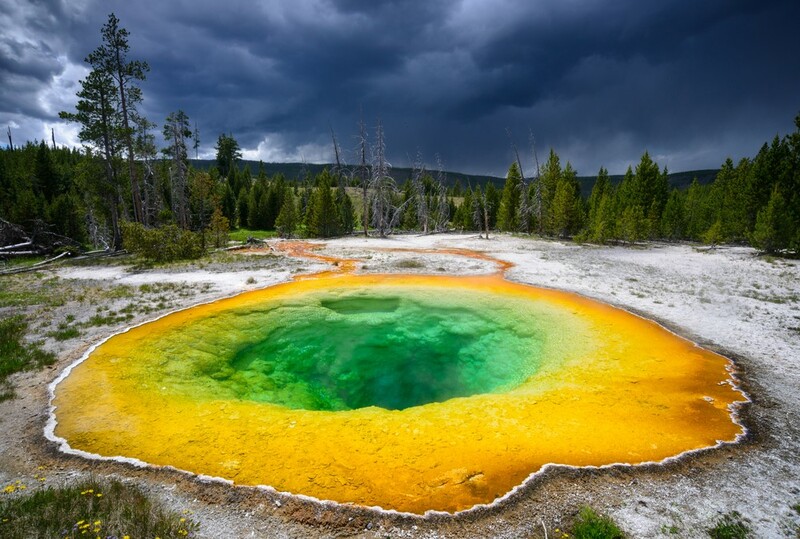 Yellowstone, USA – There must be a reason why Yellowstone was chosen as the best affordable destination in the USA and is on the top of the places to travel on a budget in America. It’s a park sprawled on more than 3,000 square miles, which are home to picturesque geysers, fresh waterfalls, canyons, meadows, and wide forests. You can spend some time camping (for very cheap fees) in the wilderness while exploring fantastic spots. Visit Yellowstone Lake or the Mammoth Hot Springs to complete the adventure and admire the magnificence of these landscapes. You should also beware of bears as you’ll encounter several animals like elks or buffalos. And how can you get the most of it without spending a fortune? Stay in a campground instead of the expensive lodges. Cook everything yourself, because the sit-down restaurants will make you pay more for the same meal you can make. So bring your own food. What’s more, avoid the summer season, because the wave of tourists brings the high prices with it. Nepal – By every means, Nepal remains a cheap destination for the Western tourists. In fact, the whole country’s economy is in the hands of tourism. There are some who say that you can go with spending only $40 a day. And that is nothing if you take into consideration all the wonderful places you’ll experience there. Recently there has been an earthquake, but the country is already slowly going back on its feet. If you want to go trekking, you may have to evade some routes due to construction. However, if you are mountain and hiking fan, then Nepal will give you plenty of that. Peaceful temples and breath-taking views of the Himalayas are just scratching the surface. All of that and more is quite affordable. You can see the average costs here. 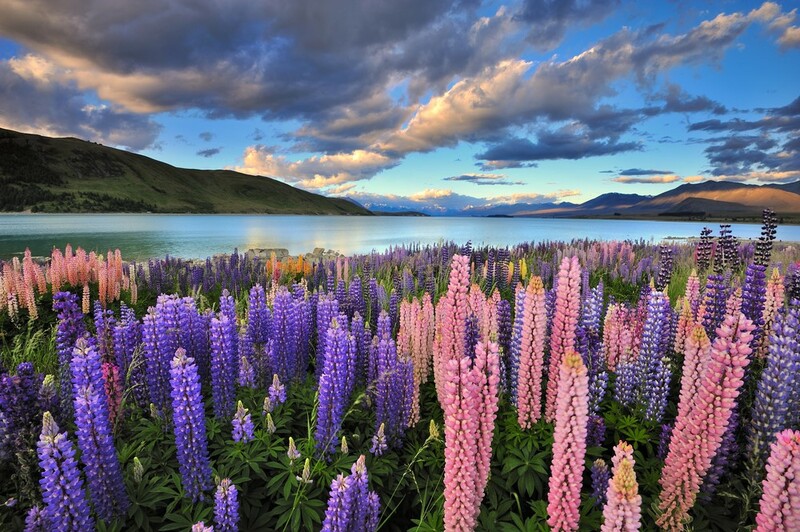 New Zealand – New Zealand is known to be not quite the cheapest choice for a holiday. But that doesn’t mean that you can’t go there on a budget. Actually, many did and even more will. You simply can’t resist exploring the vast beautiful islands and the fun activities like bungee jumping or visiting the Hobbiton movie set. But some things got to give. If you want to save on your trip there, you have to begin planning the trip from the start. Look out for discounts for air tickets as well as plan your visit to be in the shoulder seasons (March-April and September-October) when the prices are the lowest. For activities and attractions, you can opt for going to some free museums, taking walks in the numerous botanical gardens or hiking and even swimming. 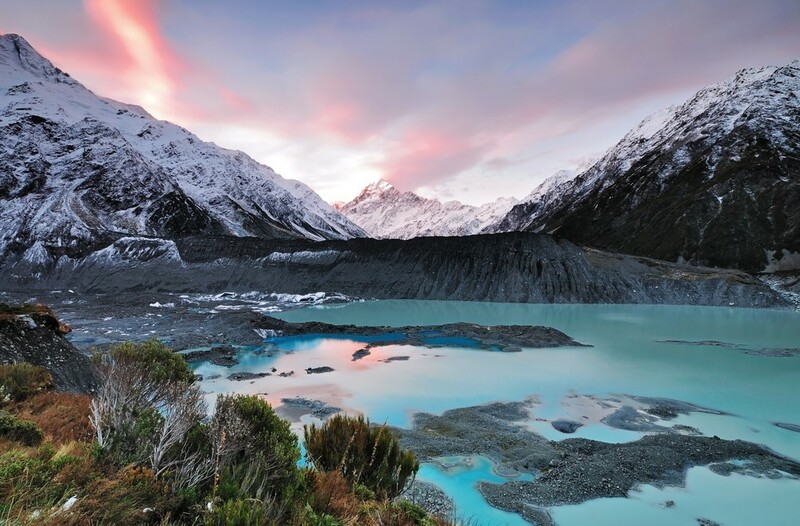 Fun is, of course, guaranteed in the places to travel on a budget like New Zealand. Having said that, the bus stays the cheapest means of transportation. You can accommodate yourself in extremely cheap hostels or in a camp. What’s interesting is that you can stay on a farm for free, but you would have to get your hands dirty. Moreover, stay away from restaurants and cook yourself. Barcelona, Spain – Perhaps you won’t believe that a great metropolitan city like Barcelona in Spain can be among the places to travel on a budget. But it’s true. The whole city lives and breathes in the rhythm of the Mediterranean. You can casually relax on one of the best beaches in Europe. Barcelona offers a spectacular architecture which you can see while you walk across the city. The Park Güell, also, can give you a jaw-dropping view of the city. Considering visiting in May before the temperatures get too hot and plus you avoid the crowds of tourists. You can also get a chance to experience the splendid festivals held there. Use the metro for getting around the city. The food is amazing and surprisingly affordable – a meal can cost you from $10 to $13 and their beer is around $2. 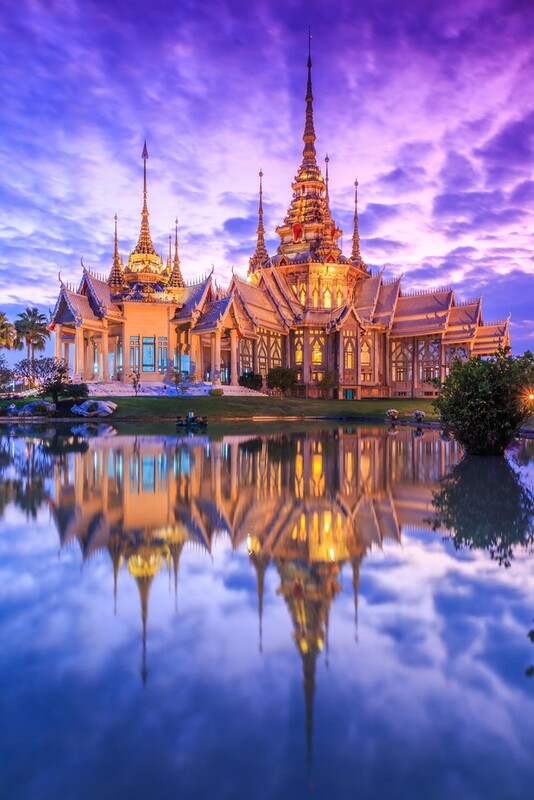 Thailand – The list of places to travel on a budget wouldn’t be complete without a lovely addition from the astonishing Asia. And this time, it’s Thailand. It is said that Thailand is the center for backpackers in Southeast Asia. Why? You can go through your journey while spending only from 25 to 30 dollars a day. All that comes from affordable guesthouses which cost around $4, local buses, food-selling stalls on the streets, and fun attractions. One of the most memorable aspects of Thailand is the world-famous cuisine. Nakhon Si Thammarat, for instance, is a city where you can find the best Thai food. The paradise-like islands are pretty affordable as well. Thailand, also, has a rich culture, so you won’t be disappointed by that either. It’s almost too good to be true! 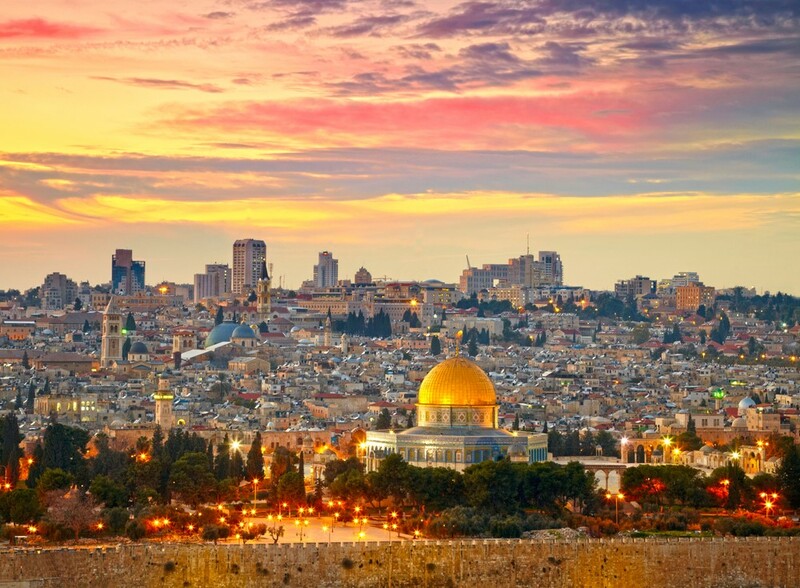 Jerusalem, Israel – The Holy Land has been one of the most visited destinations as it is flooded by pilgrims. Of course, Jerusalem’s Old City is the one in the focus, attracting all the attention. And even here you can have a great time while being on a tight budget. A meal can take around $13 from your pocket and the other costs aren’t much expensive. The markets are the places where you can buy food for low prices. Hummus and falafel are like the national food and you can’t go through Jerusalem or Israel without tasting them. Israel is famous for a very strong public transportation, so make use of that. What’s more, you are offered special tours for individual or budget travelers which are exceedingly affordable. Although, several museums require payment if you want to enter, luckily for you the whole city is a museum on its own. You can walk along historical streets and witness the greatness of architecture, religion, and tradition. You might have some difficulties with a cheap hotel, but it’s quite easy to get in a comfortable hostel that is both friendly and affordable. 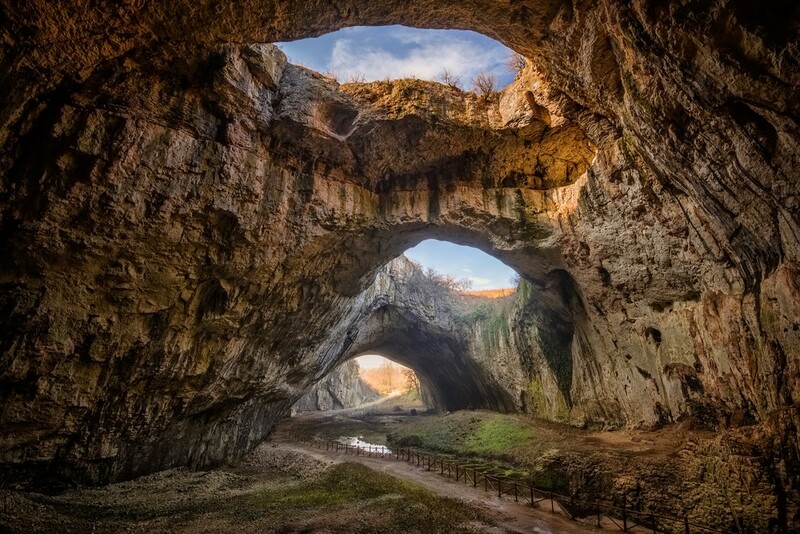 Bulgaria – Eastern European countries are a paradise for backpackers and budget travelers. You can definitely find one of the places to travel on a budget in Bulgaria. It’s often underrated or simply overlooked, but it has so much to offer. Bulgaria is the destination where you can get a tour of the Black Sea coast, which is just magical. You’ll find deserted and exotic beaches together with idyllic little towns and villages. Varna, for one, and Plovdiv represent a great deal of the whole Bulgarian culture. Speaking of that, you can tour the capital called Sofia where you’d get plenty of galleries and museums. And the prices are the best thing about it all. You can get a meal for around $5 or beer for barely $2. You can live like a king while spending less than $40 a day. 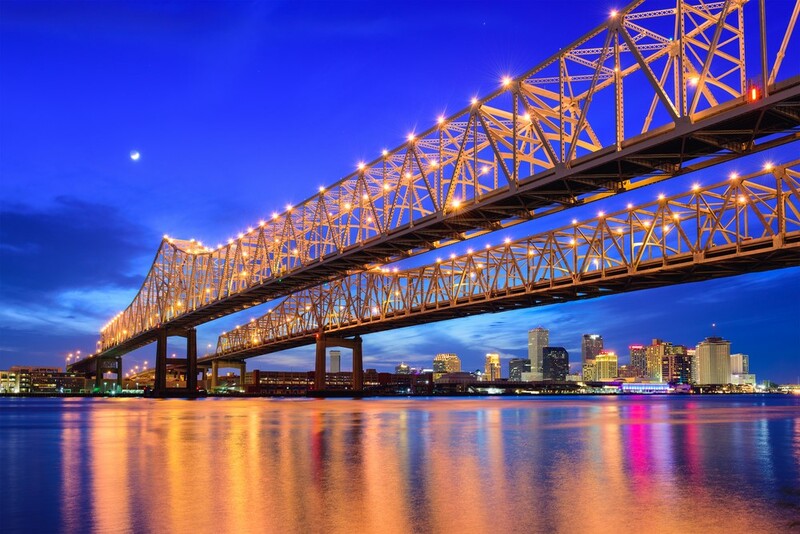 New Orleans, USA – The jazz, glitz, and glam of the States can be all found in the mesmerizing New Orleans. It’s said that it’s best to get familiar with this city on foot. It’s a city that lives with music. You can hear notes and different genres from every bar and every restaurant. Its architecture reminds of Europe’s and the food will make your mouth water even before you put it in your mouth. Furthermore, one of the biggest attractions is the Mardi Gras. Bringing visitors from all over the world, the Carnival-like party makes the whole city explode with joy, excitement, and lots of music. If you miss the Mardi Gras, you have nothing to worry about because parties and celebrations are held throughout the year. Besides that, you have to check out Frenchmen Street, the Garden District as well as the French Quarter. It’s been ranked in the top five most affordable destinations in the USA. So, going there wouldn’t be a tough blow to your wallet. Fiji – Don’t worry – you don’t have to get loans from the banks or mortgage your home to travel to Fiji. By some unwritten rule, the Pacific islands are thought to be the most costly ones on Earth. That’s definitely not the case with Fiji. The price of a dorm in a hostel begins with around $10 while a private room can cost you around $30. To get around, you can definitely use a bus which is cheap and efficient or share a taxi. 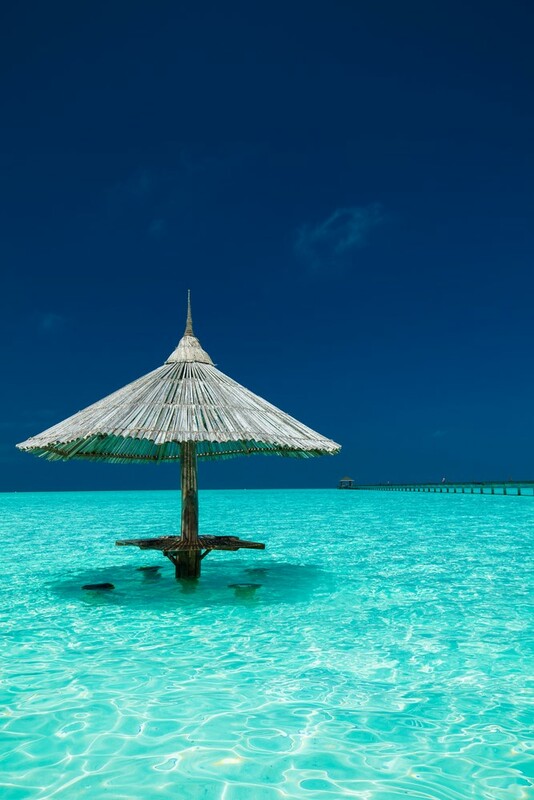 Stay away from the over-the-moon luxurious resorts and instead find some time for unwinding on a beach, swimming in the turquoise crystal waters, learning to scuba dive, and tasting delicious food. Plus you get the chance to meet friendly, chatty locals. Cheap meals can take around $2 from your pocket while a dinner in a restaurant $5. Thanks to Fiji’s affordable transportation, accommodation, food, and activities, there is a community of backpackers. 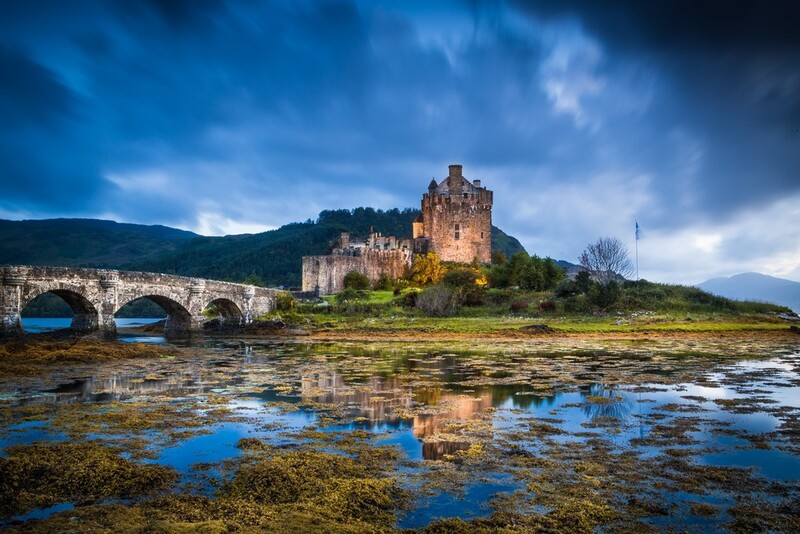 Scotland – The European places to travel on a budget take us to the mystical and enchanting Scotland. The country’s extraordinary nature and culture put it on the bucket lists of many travelers this year. If you are in for jaw-dropping landscapes including the mountains of the Highlands (the Cairngorms among other), the lakes, and the meadows, then this is the place for you. You’d get a great lesson in history there, thanks to the numerous Scotish castles and tradition. Some of the biggest cities include Glasgow and Edinburgh. In August, you may be lucky to experience the biggest arts festival on the planet – Edinburgh Fringe Festival. What’s more, you can find some hostels for $40 more or less. Stick to the pubs for affordable food and for transport you can go around by bus or hop on and off the backpacker bus across the country. It’s good to remember that most museums are free to enter. Morocco – When you think of hot deserts, exotic waterfalls, mountains, and beaches, you’re thinking of none other than Morocco. This African country is definitely among the places to travel on a budget. That’s because the Western standard of living and salaries are much higher than Morocco’s. You can buy a loaf of bread for less than a dollar; a meal in an inexpensive restaurant is around $3. And the prices of hotels are utterly affordable. Another trick is to learn a few Arabian words. They’d get you great deals and even lower prices. 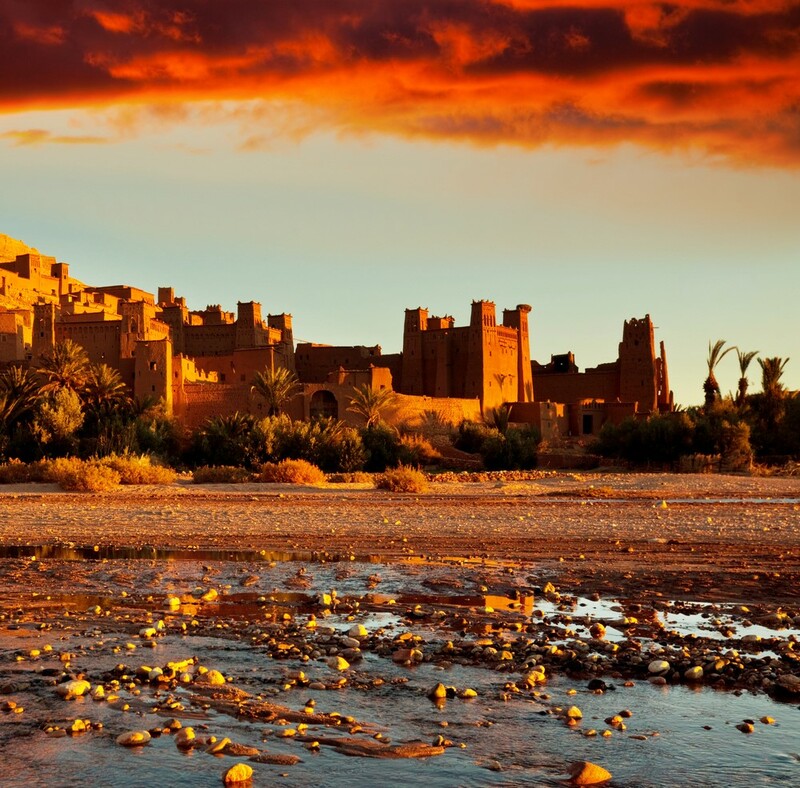 The highlights of Morocco definitely include the medina in Fez, the nomadic culture of the Sahara Desert which you can tour on a camel, as well as the Jemaa el-Fnaa or basically the whole city of Marrakech. 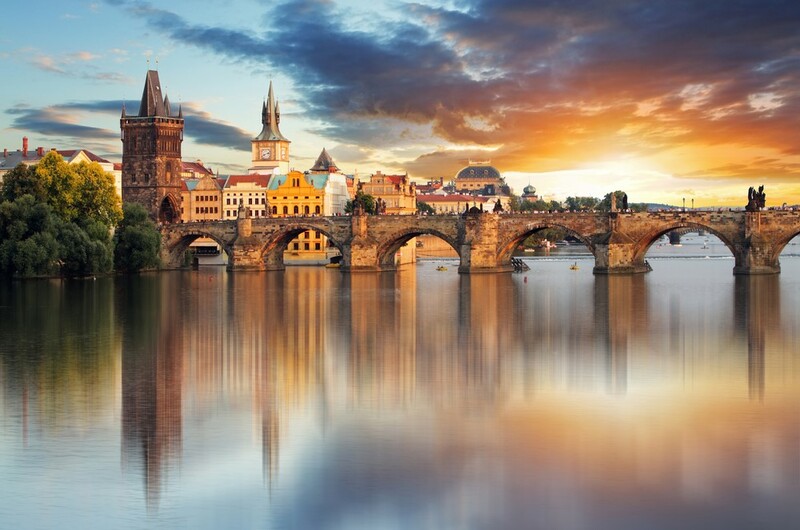 Prague, Czech Republic – The capital of Czech Republic is becoming more and more popular. It’s relatively cheaper than other grandiose cities, earning it a spot among the places to travel on a budget. Prague has a little of everything. You can stuff yourself with quality, traditional food like goulash for a few Czech crowns. You can also get up to 40% off on accommodation if you’re visiting off season. Another great thing is that some days you can catch amazing discounts on entrance fees to museums and galleries. But to do that you have to check the individual websites of the places you want to visit. The whole city looks like straight out of a fairytale. Each corner is somehow historic, making it perfect for long walks on your own which will cost you nothing. The marvelous view of the city from the Strahov Monastery will stay with you forever for sure. And if you want to enjoy some nature in all that, you can head to Petřín Hill. 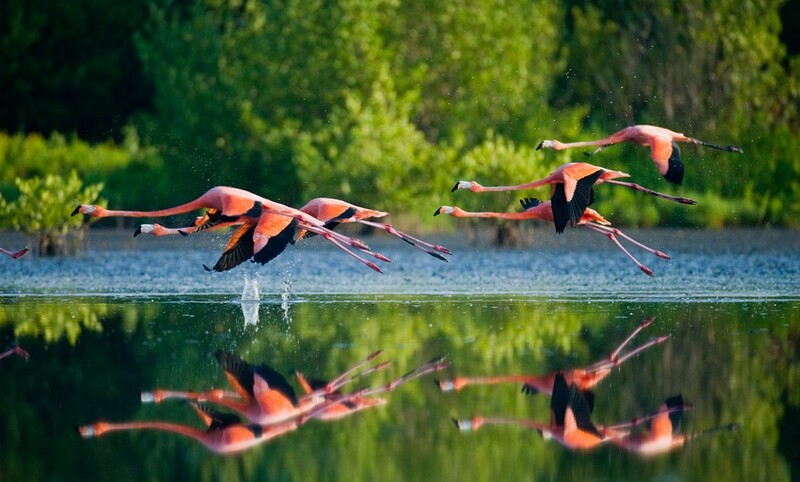 Cuba – This Caribbean paradise on Earth will wow you the instant you step on its soil. The country of salsa and dance offers plenty of clubs and bars where you can sway your body to the notes of the guitar. It is said that Cuba will intoxicate you with good vibes, culture, and history. The rich architecture couldn’t be missed as the styles range from Gothic to Roman. There’s plenty to choose from – the unique streets of Havana, the sandy beaches, the squares of Trinidad and so many others. However, mind that you won’t go as cheap as in some Asian countries. Still, you can reduce the costs by sharing a room with another person or eat some street food. Moreover, the cheapest transportation is the bike, bus, train, and your good old feet. If you plan well and save, you can end up with 53 CUC a day.